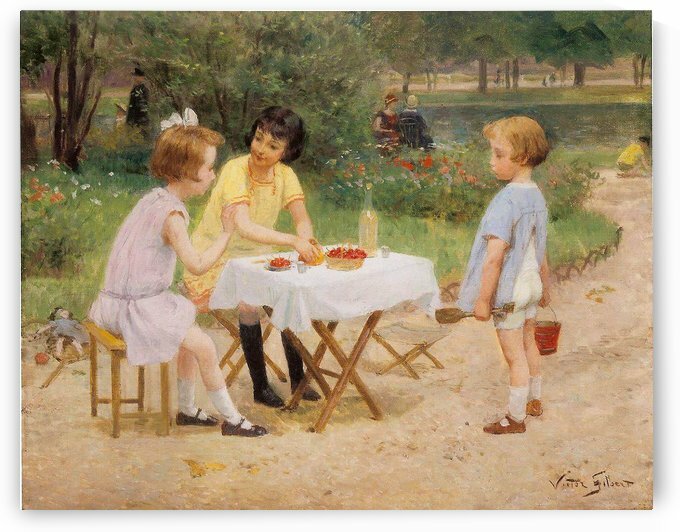 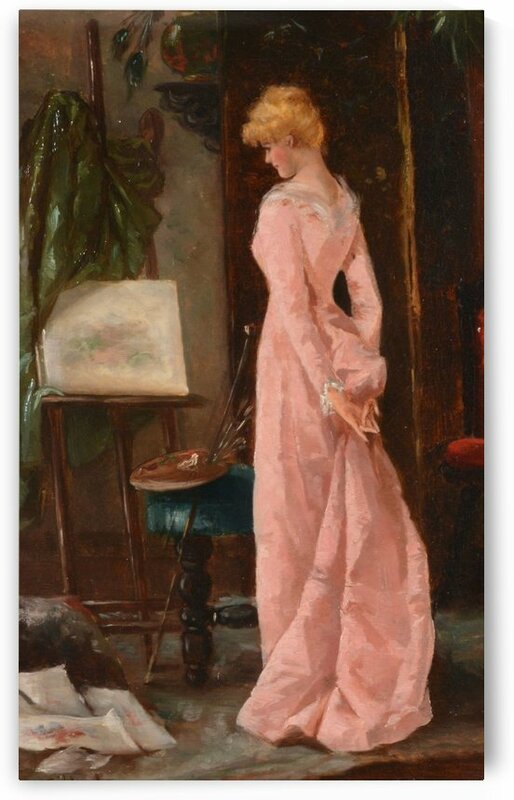 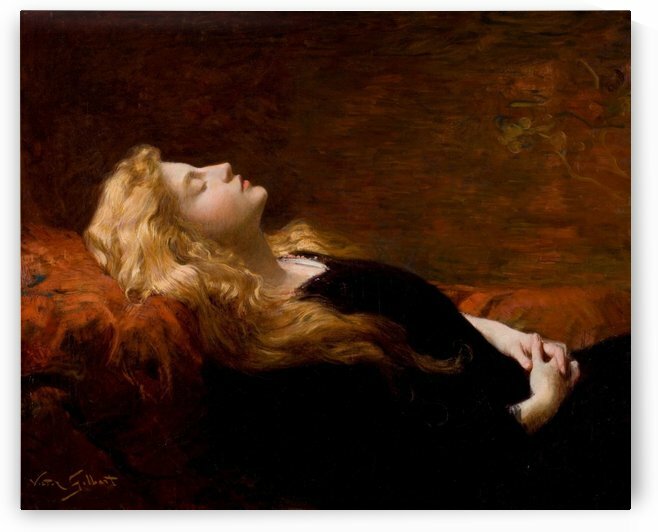 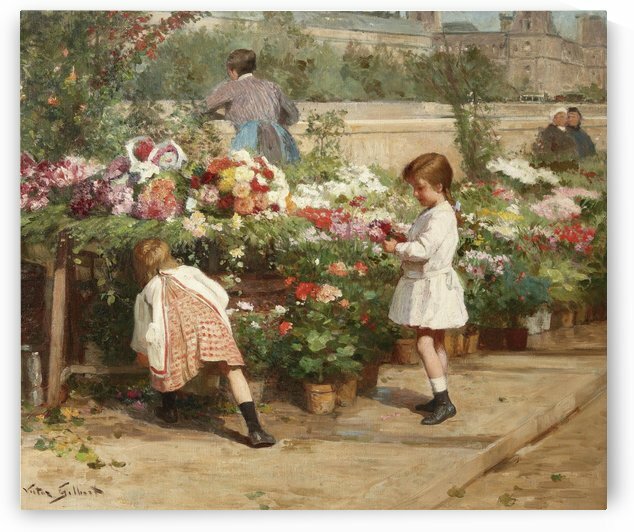 Victor Gilberts natural ability as an artist was recognized early, but his family lacked the financial resources to send the young man to the École des Beaux-Arts. 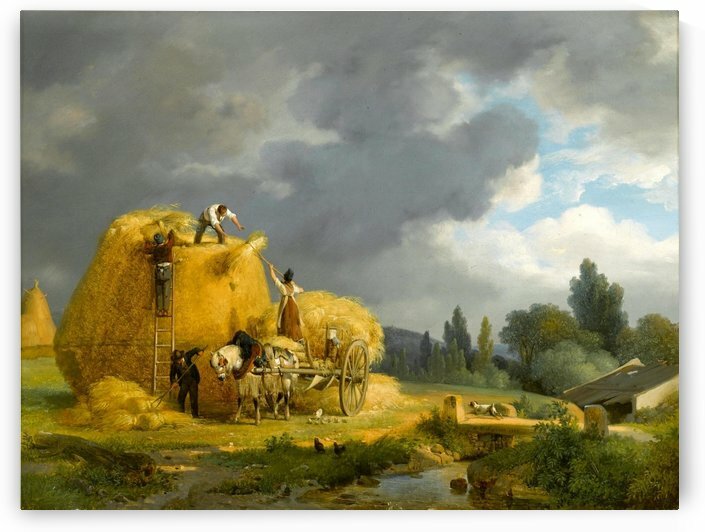 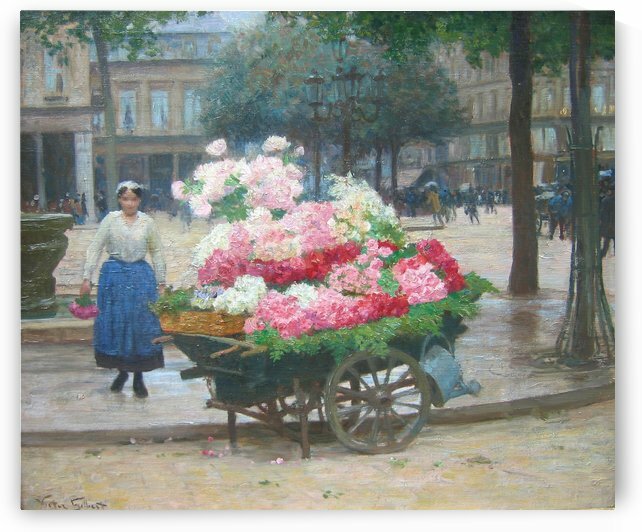 Rather than enrolling in the École, Gilbert was apprenticed to Eugene Adam as an artisan painter and decorator. 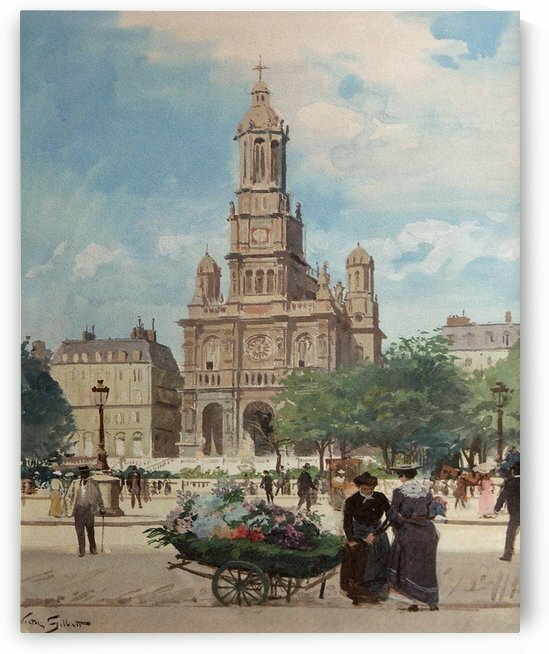 His only formal education was evening classes with Pierre Levasseur at the École de la ville de Paris. 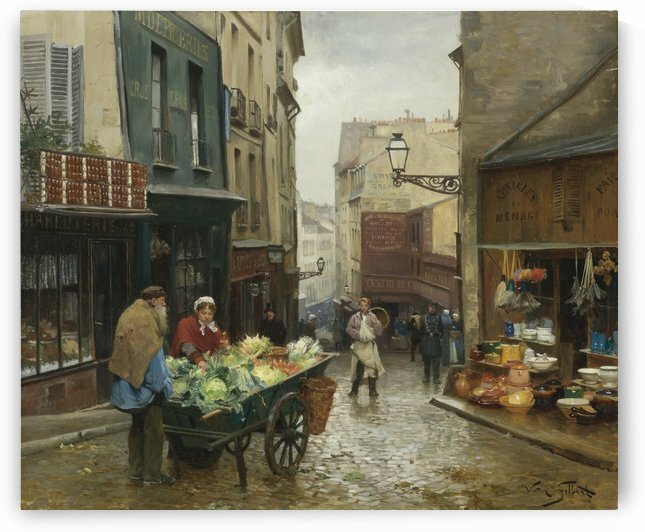 Perhaps it was his early immersion into la vie quotidienne that formed the basis for his later choices of subject matter for his art, that of the markets and streets of Paris. 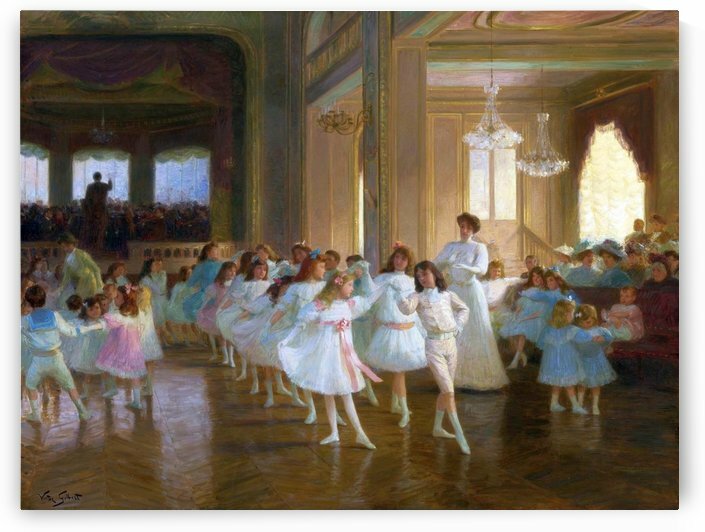 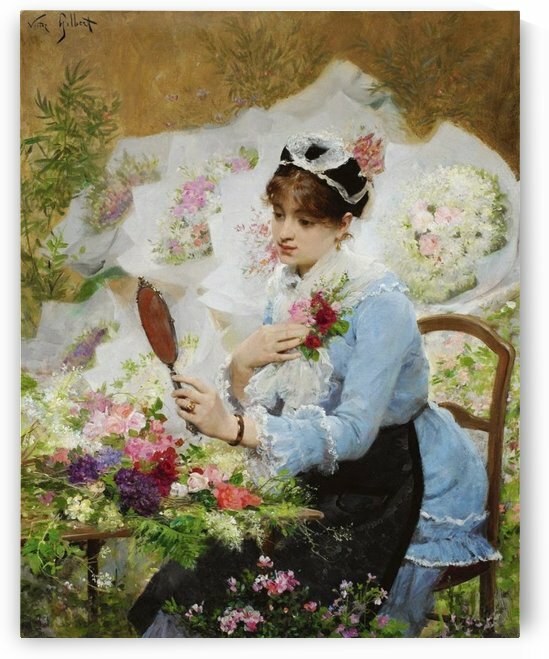 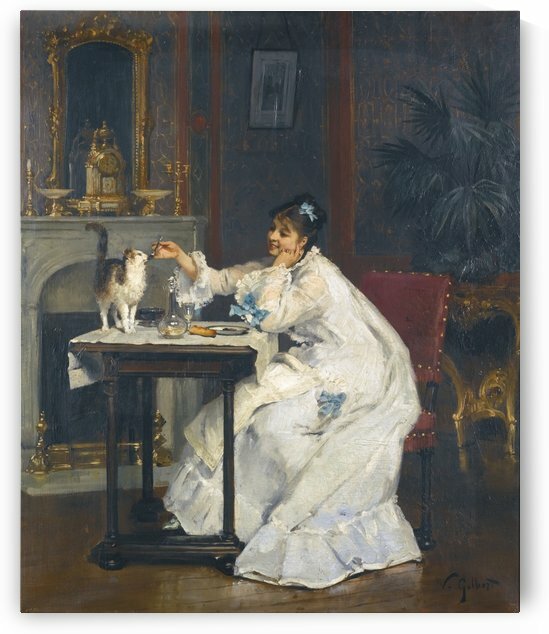 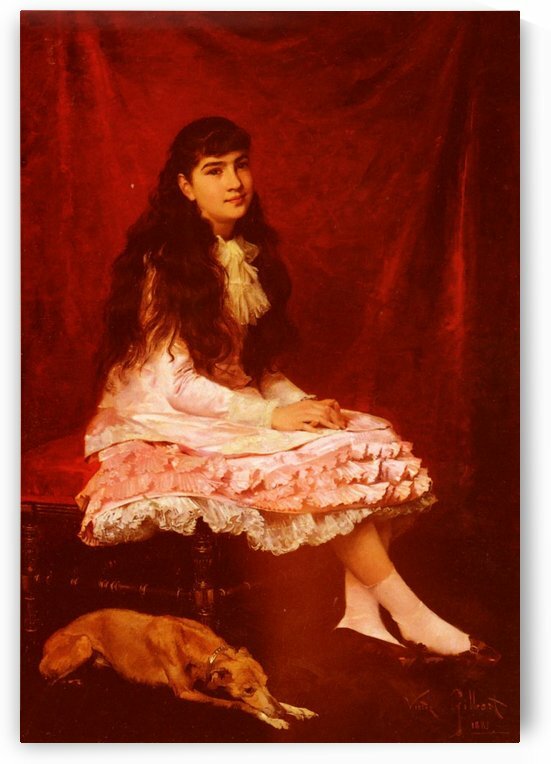 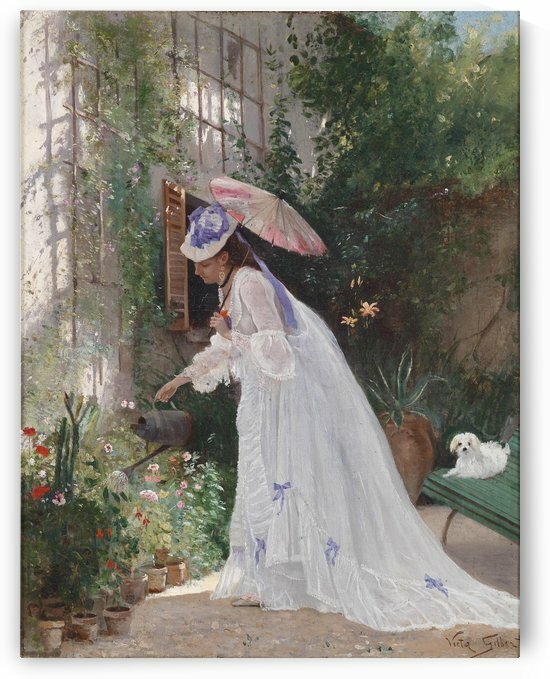 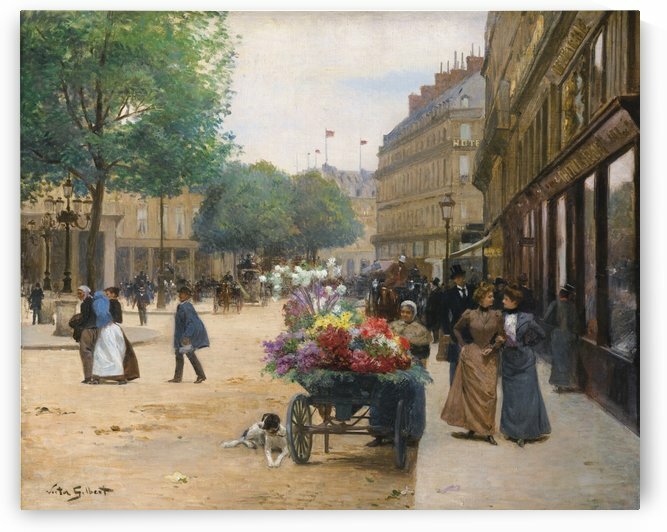 Despite his lack of formal training, Gilberts admissions to the Paris Salons of 1873 and 1874 were very well received by audiences and critics alike; at this time he was supported by the dealer Paul Martin, who was an important proponent of the Impressionist movement. 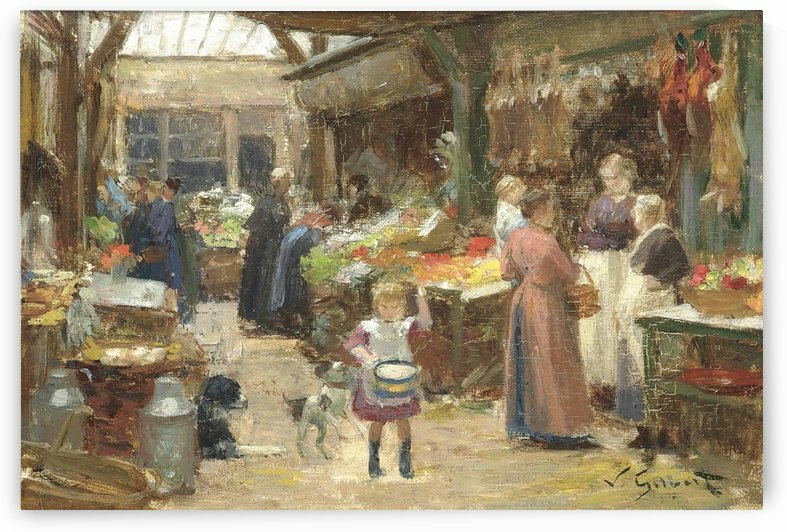 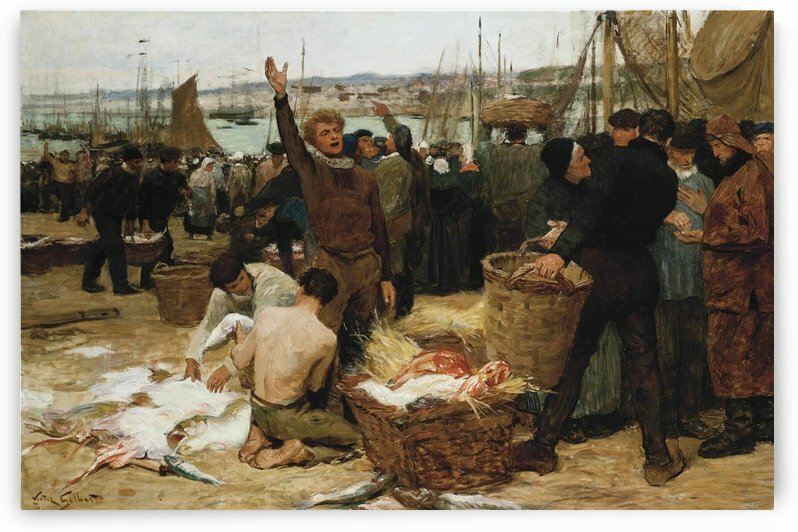 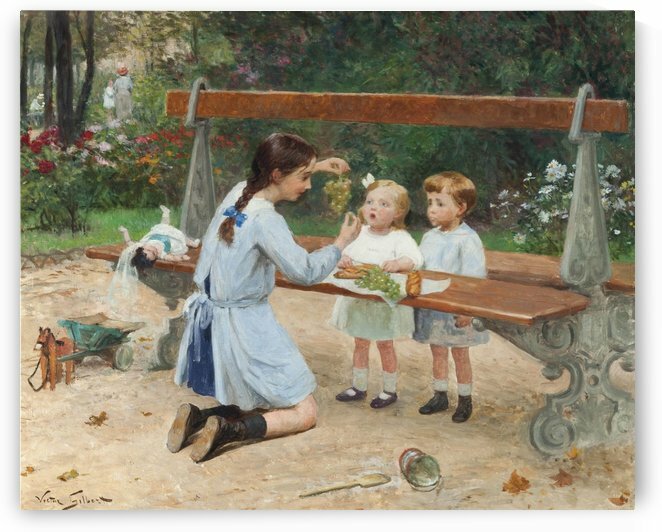 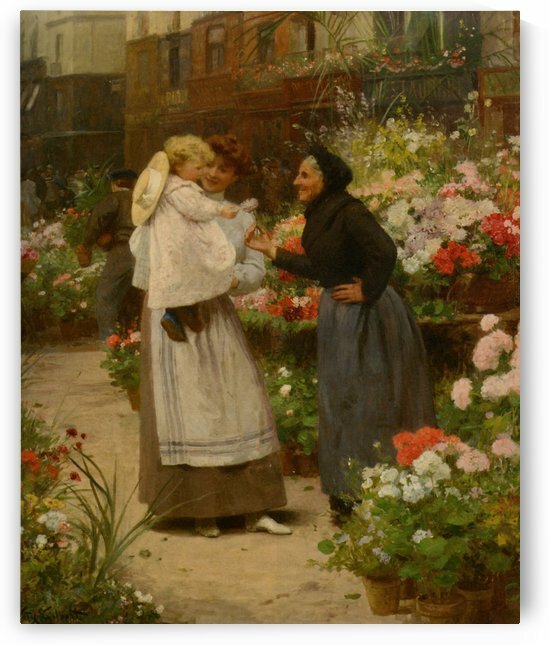 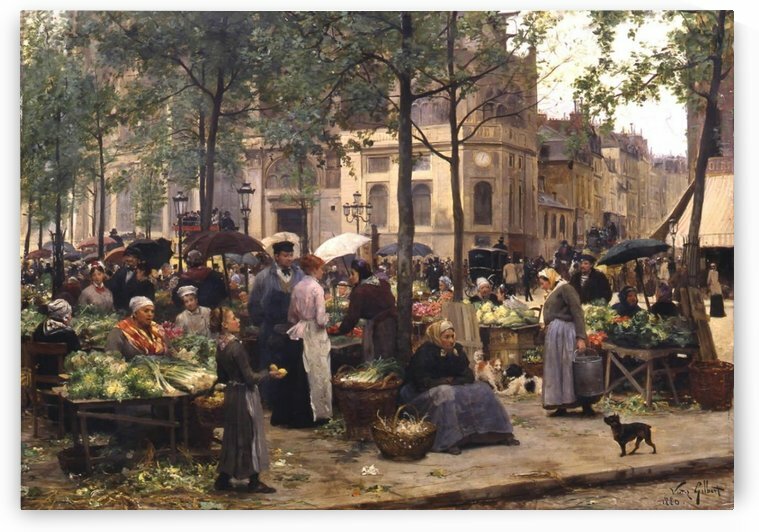 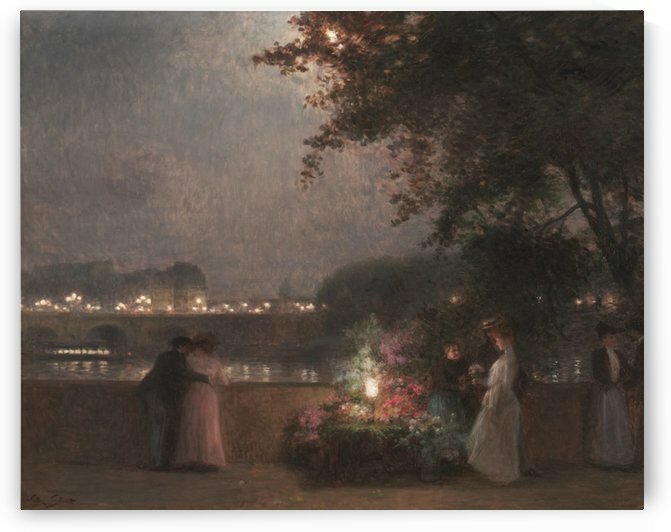 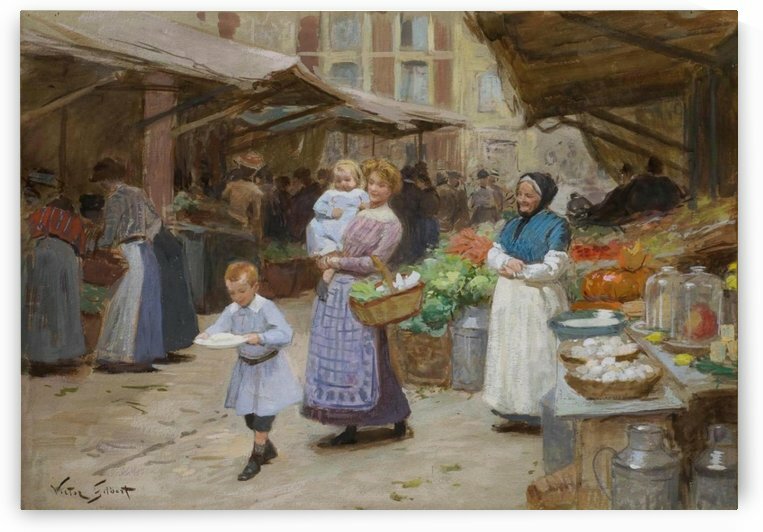 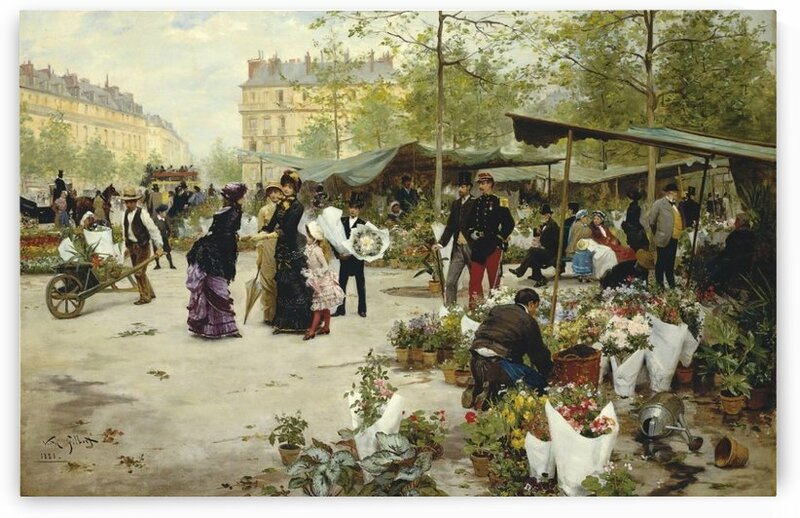 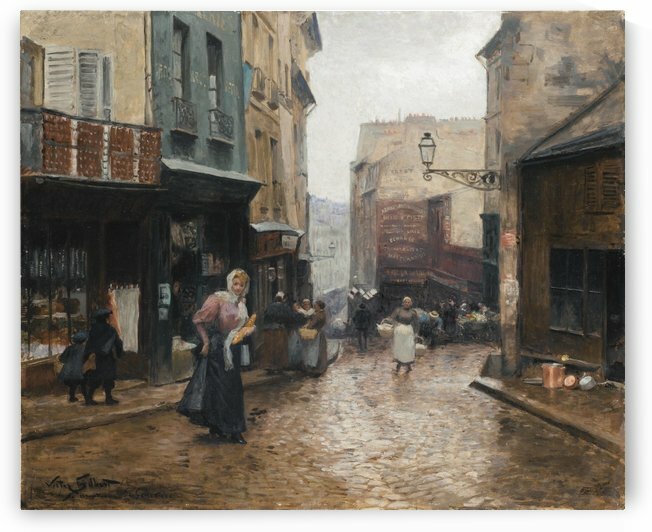 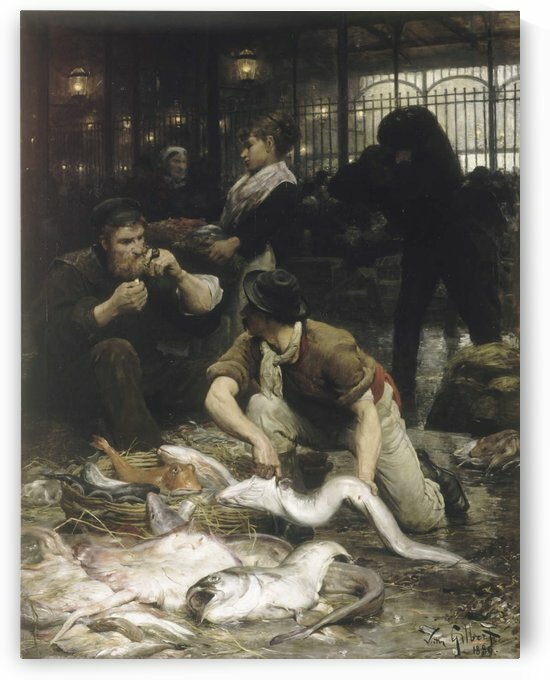 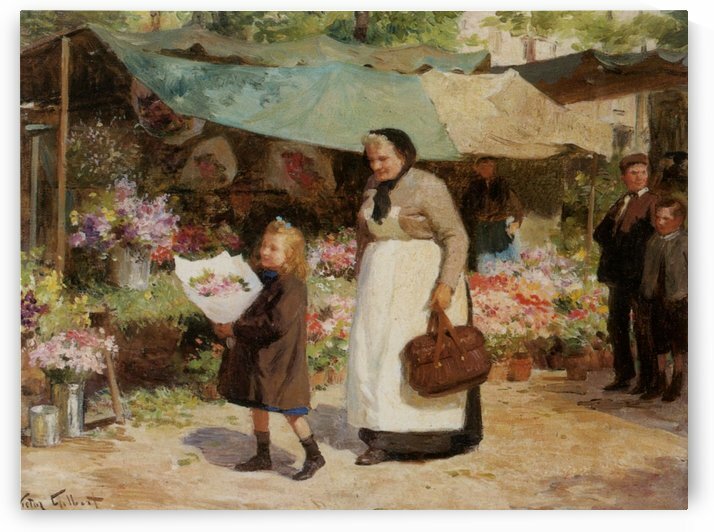 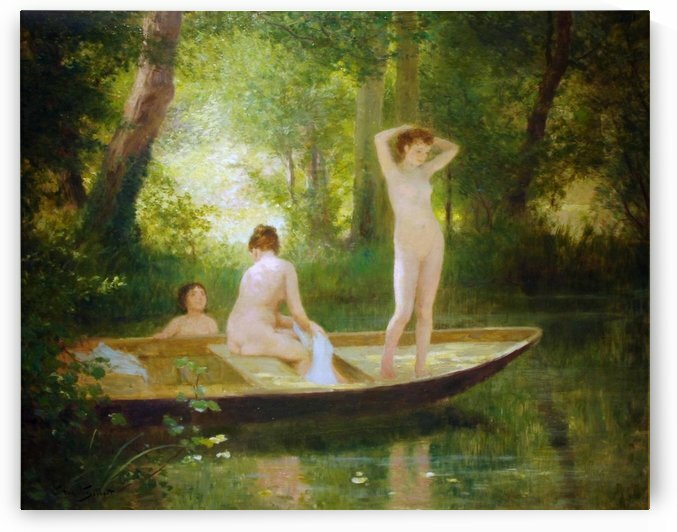 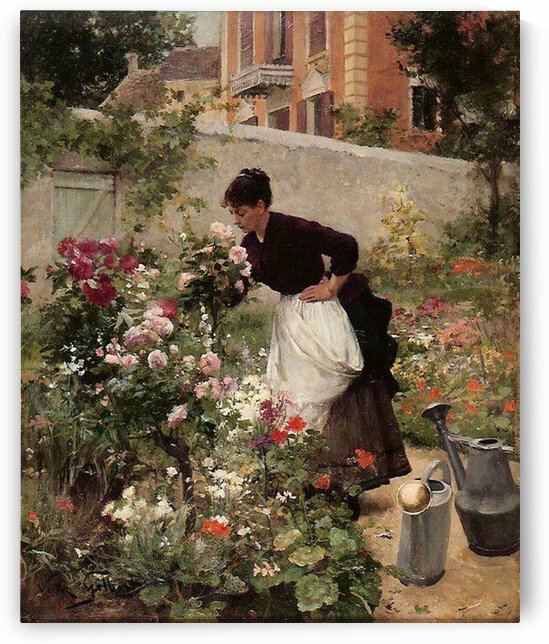 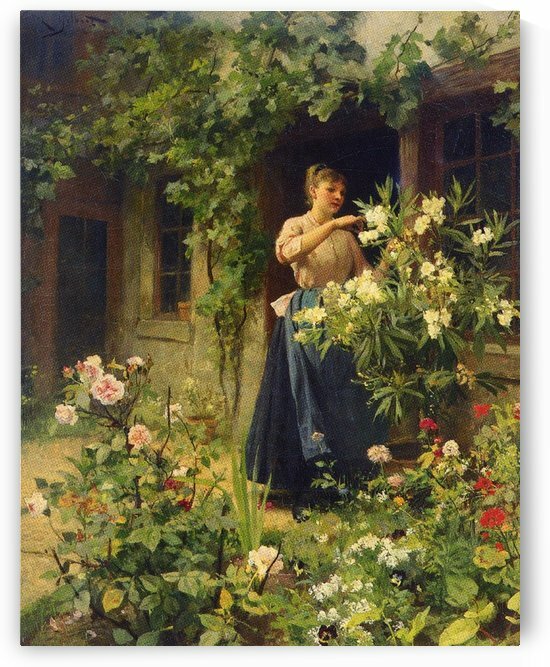 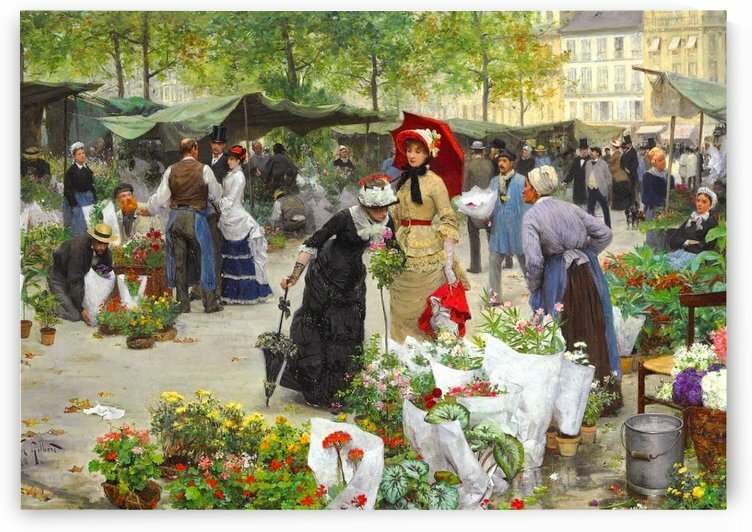 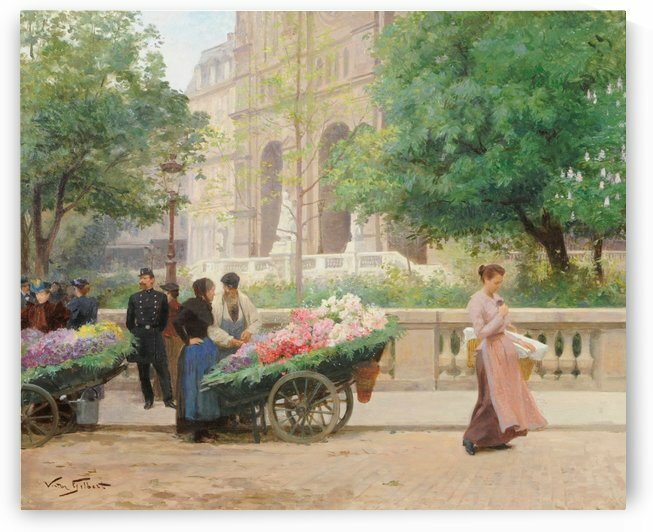 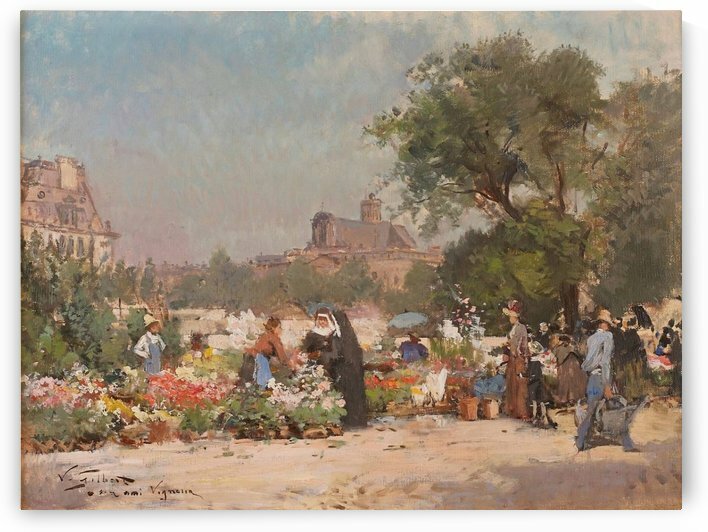 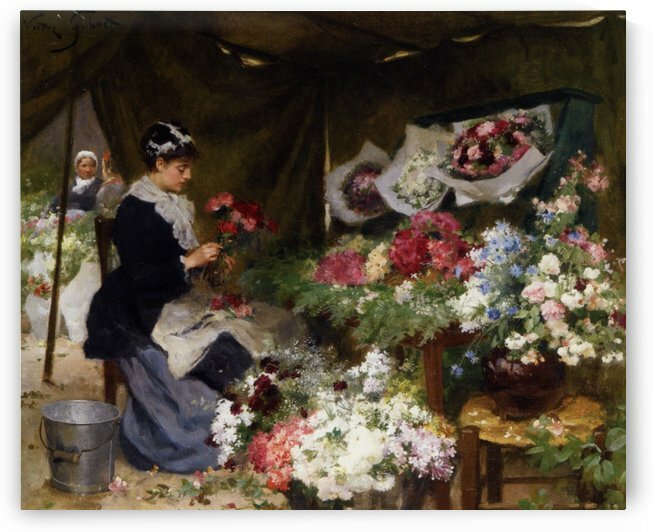 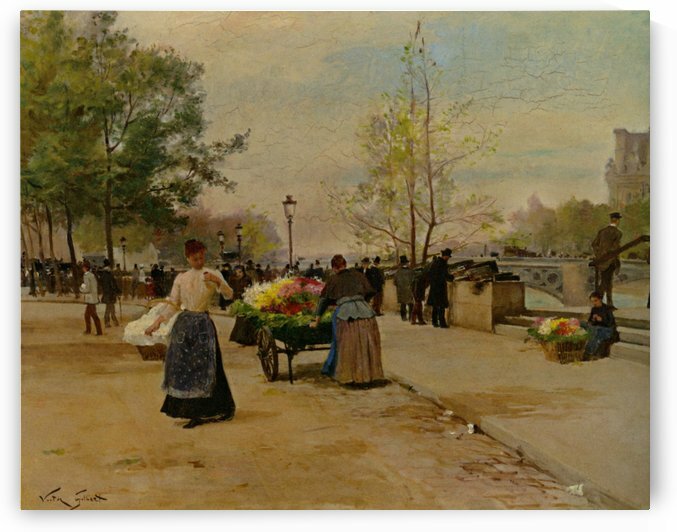 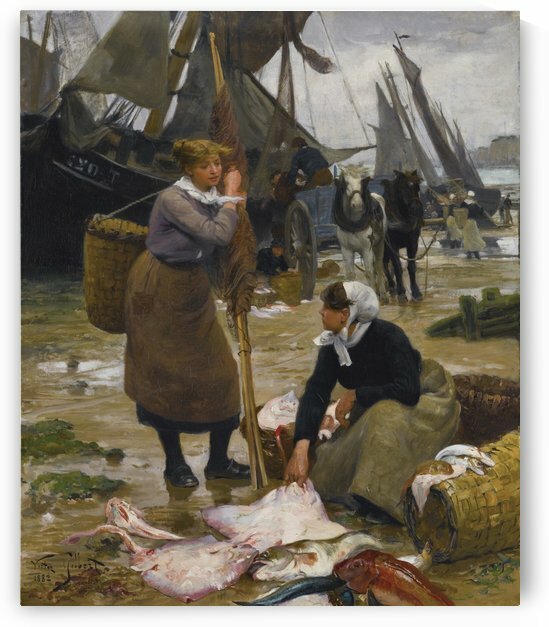 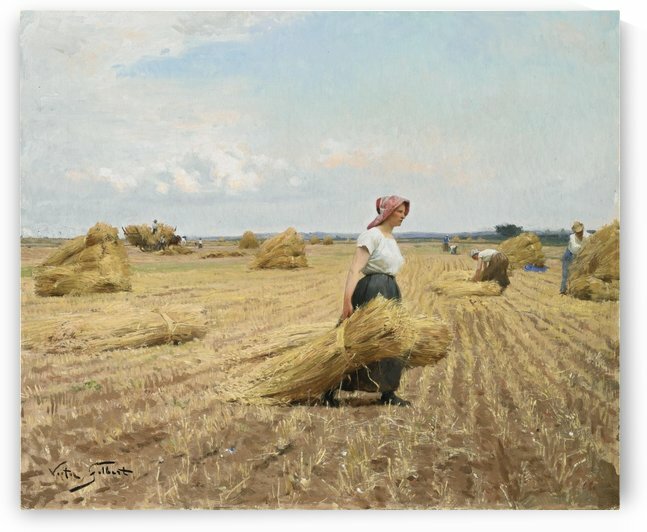 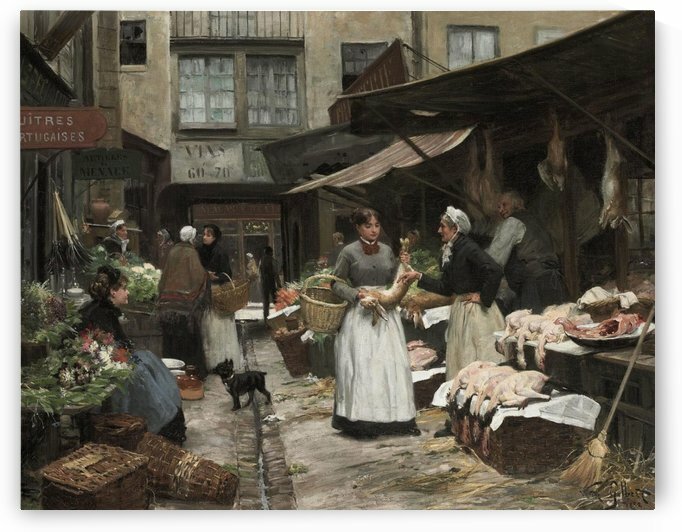 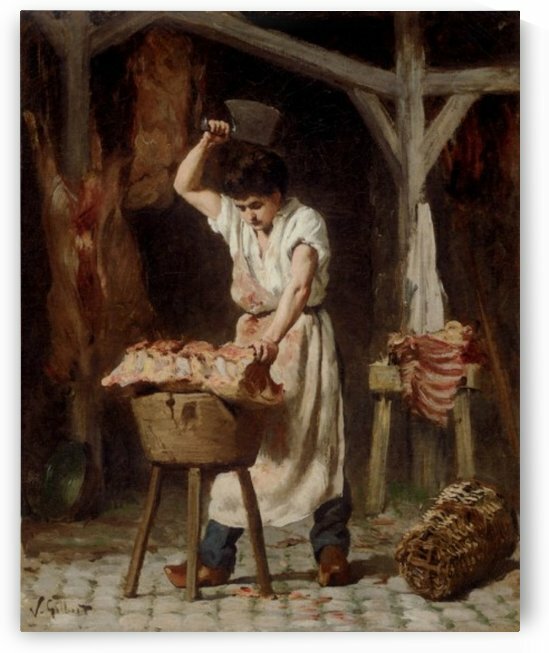 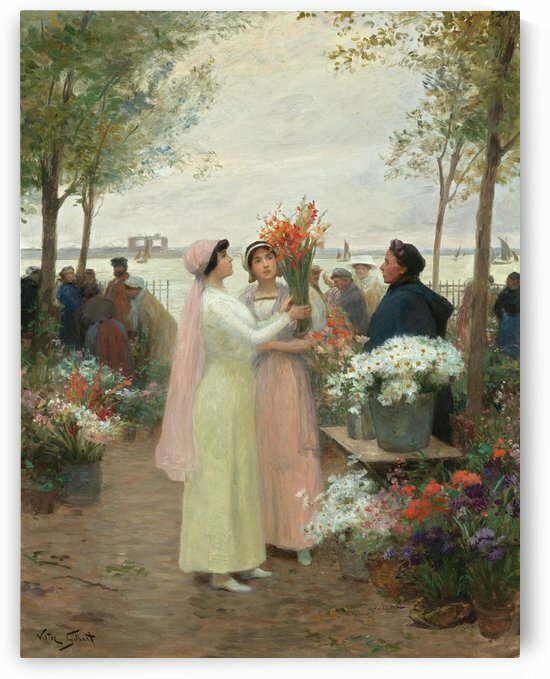 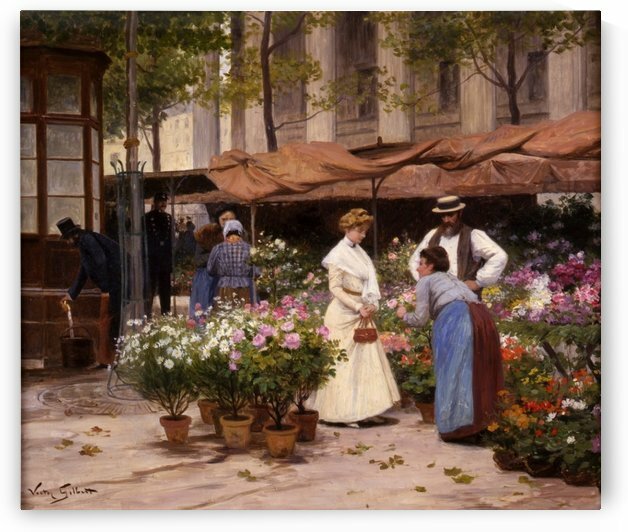 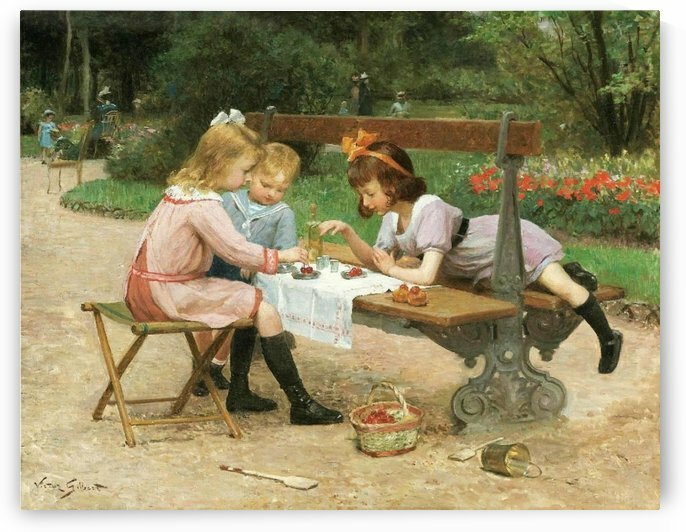 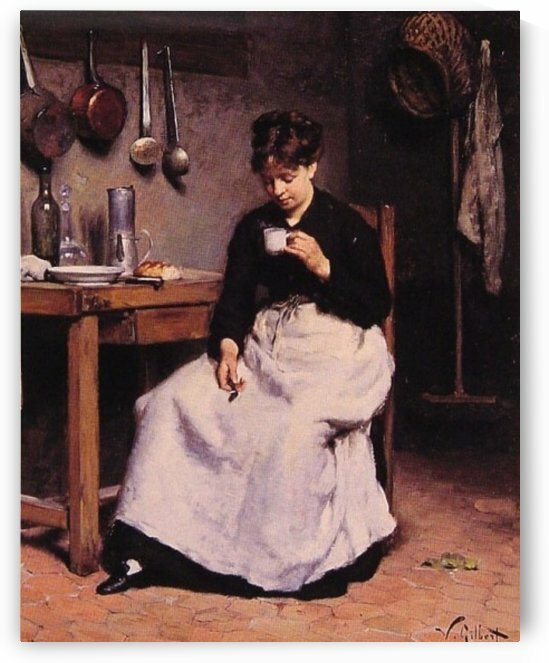 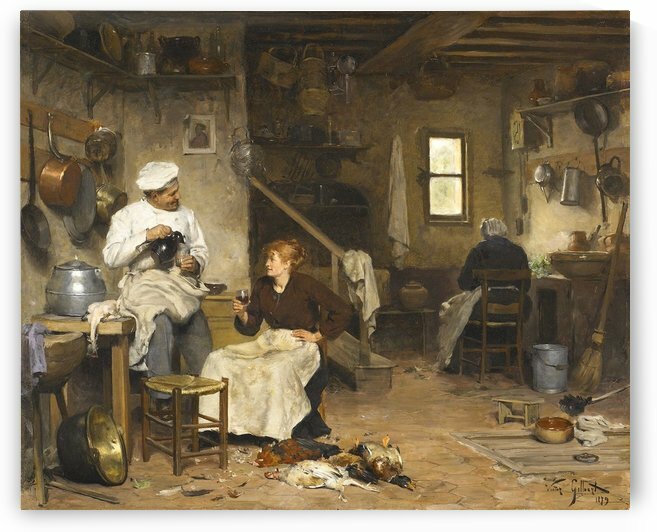 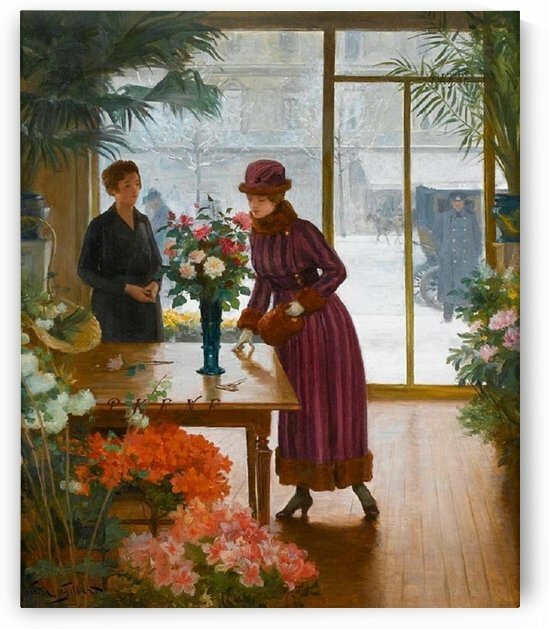 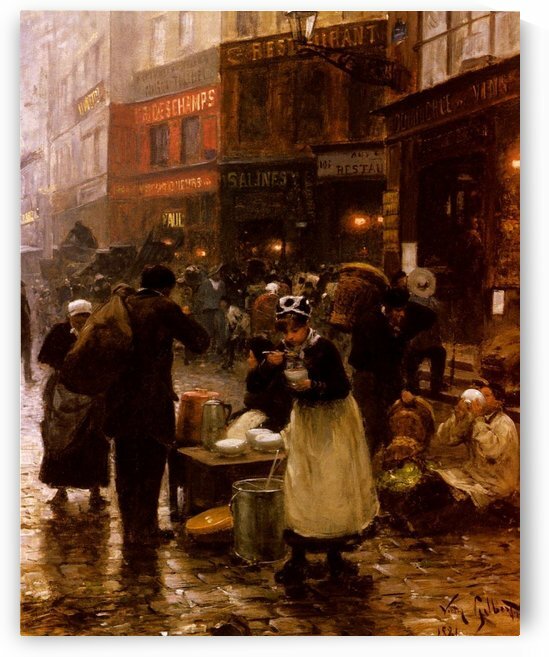 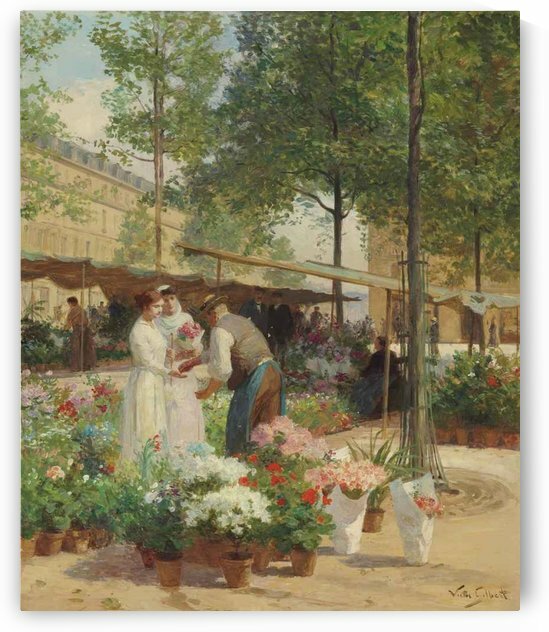 Gilbert emerged in the early 1880s as the primary Realist painter to record the French marketplace.